MADISON, IN (WAVE) - "Google gives you lots and lots of answers to your questions. But the librarian can help you find the right one," said Judi Terpening, the interim director at the oldest public library in Jefferson County, Indiana. Two hundred years ago, a group of people turned a passion for knowledge into the county's first library. On Monday, a steady stream of visitors filtered inside the building despite the cold and snow in the air. Beyond browsing books, people came for children's programs, genealogy searches or to pick up a movie. Founded just a few blocks away by a group of citizens on April 18, 1818, the library has evolved greatly in the years since. "The first place where there was a library or the first meeting was in 1818 and it was a few blocks from here, and it was in a tavern," said Camille Fife, the library's history and genealogy coordinator. It started as a subscription library, not finding its permanent home on Madison's Main Street until 1929. "They had been a bit peripatetic before then; they'd moved around," Fife said. "In fact, in several different places, at least five that we know of." The library was moved into the Powell home on Main Street. The building as it stands now was built around the home during a renovation in the 1960s. 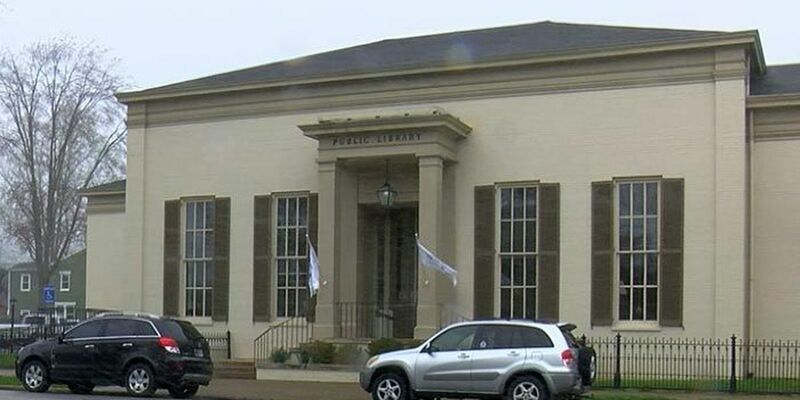 In the 200 years since the 25 men started the Jefferson County Public Library, it's remained a vital piece of the community connecting people in the area to the knowledge and answers they need. Terpening said theirs is the oldest public library in the state and in the Northwest Territory. But inside is not a typical, quiet room. Instead, they aim to be the community connection, bringing people together to find answers using traditional resources and modern technology. "From our meager beginnings as a subscription library, where it was just a few people sharing their resources, now we can open up access to everyone," Terpening said. "Because the library is the great equalizer." They're inviting the community that's supported them through the years to celebrate Wednesday as the library turns 200. "We're going to have a wedding cake and kind of an anniversary dinner," Terpening said. She said as long as they continue preserving the history and evolving with change, they'll find a way to keep this library going strong for the years to come. That 200th celebration will be held Wednesday afternoon at the Jefferson County Public Library in Madison from 4 p.m. to 6 p.m. Celebrations also are planned at the library's Hanover branch. The library has scheduled other events, including guest author visits, later this month and throughout the year to mark the bicentennial. For more information, visit the library's website by clicking here.